It was unfortunately too late for Sunset to react when the yellow crystal suddenly emitted a blinding light. She let out a yelp as she was repelled back a few feet. Opening her eyes hurt and only showed her bright spots all over. She kept them shut tight while trying to puzzle out what happened. "For Celestia's sake! What wa--" she was cut off by the sound of an unfamiliar voice. Sunset froze. She had been careless and too eager to get her hooves on the crystal and now she was vulnerable. Well...it's not like she didn't have a few tricks up her sleeve. She cursed the crystal silently as she tried to open her eyes again. Why did it have to be so damn bright!? Now that was a voice she recognized. It was that foolish clown and did he just call her HIS pony. She almost opened her mouth to protest but as he continued talking, Sunset caught on to his game. Maybe he isn't all that stupid after all, not that she'd ever admit it out loud. Cracking her eyes open, she was able to make out three blurry figures, one all in what she thought was white armor, a woman and another male? She shut them tight again, the pain was starting to lesson but it still hurt to open them fully. Were these the warriors Chaos had told them about? Well, she didn't want to stick around and find out, but she had to get the crystal somehow. Sunset nodded at Buggy's story. She turned in what she hoped was the direction where Buggy was standing and gave the best friendliest smile Sunset could muster. "Oh Buggy, could you be a dear and help your favorite majestic and awesome pony right now? I just can't seem to get this dust out of my eyes!" she spoke sweetly to him, "I just want to make sure you get that beautiful gift back to your wife safely. Internally, Sunset was screaming. How indignant! But a pony must do what a pony must do to get what she wants. After the light had subsided, Sunset asked him to wipe the dust from her eyes. He knelt down next to her, “Stay still, Sunset,” he said as he carefully used his gloved hand to brush off her face. 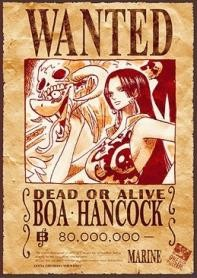 When Buggy thought he did well enough, he looked to the other three, saying, “My lovely wife, Boa Hancock will love this gift. I think it would go well in the display case in our living room.” He thought for a moment and pulled out a random poster of his “wife” from his back pocket. 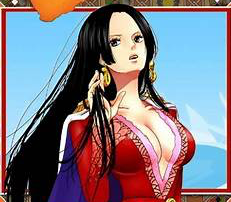 He then unfurled it, straightened it, and showed the trio, “Here, my beautiful wife!” Buggy then went to sneak a quick peek at his “waifu,” when he noticed he pulled out her wanted poster! His eyes almost flew out as he quickly rolled it up and put it away to bring out another, equally bewitching one, even in full color as well. “What do you think, huh? Doesn’t she look stunning?” He mentioned, thinking about her the whole time, almost drooling. Garland kept relatively close to Angela, bringing up the rear of their modest group while Papyrus led them in the proper direction. He squinted briefly in the midst of the thick fog that now served as a hindrance, obscuring details more precise than a basic outline of a landmark or vague silhouette of a living being. Was that another man? And a horse? For Qaedien's sake, he hoped that the equine was spared the fate of having to carry that large lump. However, a question with greater weight suddenly rose to Garland's attention. Did he just say he was sight-seeing here? How telling..
Garland focused his attention towards the rotund man's antics, briefly raising a brow when the pony spoke. Sure, it wasn't what anyone would consider in the realm of the mundane, but here was a man with wings befriending a gifted young sorceress and an intrepid skeletal hero. That was at least a bit more odd, at least by his own reckoning. "It looks as if she has a commanding presence," Garland intoned with a dry assessment of the lady depicted upon the poster. He would agree that the depiction of the alleged Boa Hancock was in fact pretty - but he was also an artist, being no less capable of producing such two-dimensional depictions upon parchment or canvas if so inclined. WHAT. The pony was able to speak? Angela was completely taken aback for a moment and nearly screamed... Before she remembered that they practically have a walking skeleton in their team. If anything, a talking pony is probably one of the most normal encounters she has had in this place. It probably should not surprise her at all. However, Angela did not miss that the man's wife was actually wanted, dead or alive. "That..." she began, but she changed her mind, as she remembered. She shook her head, as if to dismiss the bad memories. Anyway, she knew from experience that she should not jump to any conclusions based on that. "Yeah... she looks lovely," she remarked instead. But then she glanced at the yellow crystal on the ground. She looked at the ones she was still holding - they were indeed the same, except that this one was still glowing softly. It had to be the one they were looking for... And they said they found it at a gift shop? She shook her head again - when did she become so gullible? No one was even supposed to be here! Still, they looked nice enough, much unlike majority of their previous encounters. And possibly more intelligent. Could it be that Cosmos brought reinforcements? "How did you get here?" she decided to simply ask. As the sky is dark, Rocbouquet and Frieza would have the chance to notice a glow from the town's direction as the crystal's bright light repelled Sunset Shimmer. However, they are looking at the opposite direction. A roll will determine if they managed to notice by peripheral vision, or if they happened to look a bit more sideways at the right moment. Perception check: 750+ to pass. They did not manage to notice the glow. Sunset heard the pirate take steps towards her, and she was relieved that he had caught on to her request to recover the crystal. Gloved fingers touch her eyes and Sunset let out a visible flinch, unable to contain the shiver that ran through her equine body at the buffoons touch. Did he really just...? How did he not get her hint! It took everything to not burst out in anger immediately at the idiot. "How...how dare he touch me!" she thought to herself, grinding her teeth as Buggy "wiped" the sand out of her eyes. Sunset took the opportunity to whisper to him through her teeth, which she had clamped shut as she forced an overly friendly grin on her face. "Get the crystal, you fool" she said, forcing her eyes open when he moved away from touching her, feeling immediate relief at no longer being touched by the clowm. Despite them watering, she gave him an icy glare. Thankfully, the effect of the bright light was wearing off and her eye sight was coming back. Sunset watched, still fuming at being touched, as Buggy further went along with the lie, even pulling out...two posters? Sunset was a bit surprised that he had something like that on hand, considering her fabrication. Maybe he really did have a wife? She was unable to see the pictures that he showed the new comers. Speaking of, Sunset was now able to get a better look at them. The one she thought was in white armor, turned out to be a walking skeleton, for some reason she felt that character to be more fitting for Chaos's side but mentally shrugged at the sight. Stranger things have happened today. The woman that was with the two was almost as scantily clad as queen floozy. She held a staff and Sunset assumed her to be a magic user. Good, she can go up against queen floozy and they can both be out of her mane. She wondered who would be able to out sass the other. The third of their team, the other male, actually had wings and seemed quite handsome for human standards. Though...were wings normal? Sunset had not spent enough time in the human world to know for sure, but somehow she had the feeling they were not. The group didn't seem all to impressed with Buggy's attempt at fooling them with his "wife" based on their reactions to his posters. Floozy #2 went straight to the point with the questions. Great. Now her hope was on Buggy picking up the crystal and she could try to teleport them away to make a break for it. Sunset decided to speak before Buggy could respond to her. She just imagined him blundering up his lies. With the sweetest smile a pony could give, she replied to the purple haired woman, "We just walked right in! Snowdin is quite lovely, isn't it? All full of white snow and that pretty sign too. It's feels like I walked into a village straight out one of Hearth's Warming Day tales." "I'm pretty happy that he wandered off in a different direction. I can't stand weaklings like him, and even that pony seemed to be much more powerful than he was. Welp maybe he'll run into Cosmos' Soldiers and they'll kindly dispose of this waste for us." A look of disappointment crossed Rocbouquet's face during Frieza's opinionated reaction to her comment about the sea captain, but she figured he was only saying this because he noticed how inconvenienced she appeared without an obedient man around to do her bidding. He wasn't stupid after all. "Possibly Town or a Shrine you said? If there's really something hiding, it won't be there for long." “...Is this the only way you know how to handle a situation?” the temptress asked raising a brow, her eyes drawn curiously to his upward hand motion. Quite the opposite of her brother was he, and she kind of enjoyed it. Noel would have unleashed a fit of vehement condemnation at the suggestion of potentially destroying a hidden town. At least with Frieza she knew she wouldn't be forced to compromise with the enemy, though Rocbouquet was a bit disappointed Noel wasn't around "to keep the peace." It would have been amusing to watch him set the emperor straight, she thought with a giggle, eyeing Frieza as he unleashed a barrage of energy from the palm of his hand. Much to her surprise, the blast covered an impressive distance toward its target, slicing through obstructing branches like nothing. Only when it reached the area of concern did it begin to bend and distort in an obvious manner before vanishing without a trace, seemingly swallowed by the evergreen forest. Without another word, she bounded off toward the phenomenon at lightning speed, using the trees like stepping stones. Every now and then, a barricade of lush pine needles obstructed her chosen path, forcing her to descend to the lower branches where the wider spacing between limbs provided her more room to maneuver her body from crown to crown, but she traveled across the upper half of the snow-covered woodland ecosystem quite impressively for a young woman in stiletto boots. As she neared the illusion, she noticed the weak oscillating from before. Rocbouquet stopped on a bare limb and rested her hand against her hip for a moment. How odd. Even up close, the wavering effect appeared fainter among the leaves than she would have expected at this distance. The seductress flipped backwards off the branch and landed in a curtsy on the path continuing into the region of warped evergreens that she and Frieza studied from afar. After a moment of squinting suspiciously at her surroundings she decided to approach one of the trees further down the path. At first nothing really struck her as abnormal, but the deeper she adventured into the affected area, the more the trees began to exhibit an unnatural curl. Rocbouquet took a few more cautious steps, glancing over her shoulders every so often for potential threats, like a hungry woodland predator or one of Cosmos' warriors, when suddenly her vision was impaired by a nauseating blur of earthen tones. The temptress jumped back in alarm. Curiously enough, the intensity of the distortion also decreased. Rocbouquet let out a soft sigh of relief. That was close! I wasn't expecting the forest to obscure so drastically! She stared at the pathway ahead of her. The distortion made no indication that it would fade away on its own any time soon. I better cast the spell now before anything else happens. The temptress closed her eyes and brought her hands in front of her with her palms facing upward. Ancient verses left her lips as a soft whisper, calling forth a northerly gale with surges of umbrae darker than the furthest reaches of Hell. Rocbouquet attempts to cast Vortex on the illusion. Banners made by Sailor Mercury, Sailor Neptune, yunbuns, Sailor Venus, Gemma, StarChild, NQS, Tiny Kitten, & me! Rocbouquet attempts to use Vortex on the area of distortion! Non-moving target - automatic hit! Rocbouquet is unable to nullify the illusion by aiming her spell here. She might have a chance to do so if she performed Vortex on its actual source. However, the spell manages to neutralize the distortions if only briefly, exactly where she aimed and just for a few seconds after she finishes her incantation. It's as if a curtain were lifted and subsequently fell back into place. The scenery past the illusion becomes clear for those few seconds, and it should be familiar. Some dead trees here... a small lava stream there... it's more or less the same as where the group encountered Chaos. However, depending on how observant she is, she may notice that it is not the exact location they were at before, but most likely a different part of the decayed forest. As the effect of her spell fades, she can only see the distorted trees of Snowdin's forest again. “...Is this the only way you know how to handle a situation?” Rocbouquet questioned Frieza as he raised his arm to fire a barrage of Ki Blasts at the Trees in the Distance. The Emperor completely ignored her arrogant remark, as he knew from experience that attacking stuff usually resulted in what he wanted. With a self-assured grin he watched the Energy Blasts making his way through everything that stood in their path. As they reached the illusion, the blasts started to become distorted, until they eventually vanished. “My, what use that was" The Alien struggled to keep his temper after her sarcastic remark. "Oh my, I haven't seen you do anything have I?" He quickly replied, using his sass as a way to keep his cool. “Guess you leave me with no choice.” The Temptress exclaimed before leaping off towards the Illusion at an impressive speed, and Frieza followed shortly after, taking the same path she did, before stopping a few feet behind her. Having reached their destination, Rocbouquet started examining the are more closely, before starting to cast one of her spells. Frieza was clearly able to whisper incantations, although the Tyrant wasn't able to make out neither what she was saying, nor what language she was speaking. For a brief moment, her spell actually seemed to have an effect, as the distortion ahead started to slowly fade away, before snapping back into place. He was able to see a lavaish wasteland behind it - much like the place where Frieza first woke up- although he had seen many wasteland like this, so he refused to jump to any conclusions yet. He started clapping, as he stepped closer towards his 'companion'. "Ohohohoho, I see your petty magic tricks aren't of much either." Frieza taunted her. "But let's focus our attention to the matter at hand: Have you seen what I was able to see, or were you too caught up in whispering gibberish?" To Garland, something seemed pretty off about the encounter with Buggy and his alleged mare Sunset. It had nothing to do with Sunset's ability to talk, or her description of arriving at Snowdin along with the obligatory tourist's review. There was nothing wrong with that, since even strange places on his homeworld often held some unexpected treasure - good food, nice lodging, sometimes a pretty face. Snowdin could be different from his own experience with Angela's own kingdom, but the mage would nonetheless attempt to see if these two travellers were merely spinning a fanciful tale. He calmly strolled up to his skeletal companion and leaned in to whisper a question. "Psst, hey, Papyrus. Do you know any shopkeepers here? If so, what are their names?" Papyrus turned a bit red when the clown-or was he a pirate?-showed the poster. The woman was certainly well endowed, but why did he carry that around with her? It certainly left a fascinating first impression of the man-and not a good one. Perverts were low on Papyrus list, that was for sure. Papyrus perked up a bit when the brightly-colored started admiring snowdin attractions. It always gave him a bit of pride when people found themselves captivated by his hometowns' natural charm. But then the talk of shopkeepers came up, from both parties. Papyrus put a had to his chin. "There was one who ran an inn and store facility, but she moved out when we reached the surface. Are you sure you got the crystal from a store?" It seemed incredibly impossible from Papryus' point of view. Even less possible now that the crystal he'd had on him to help show the way was now glowing brightly in his pocket. "Get the crystal, you fool"
Buggy heard Sunset's words but feeling like his lie was working, he kept it up. After he stopped himself from drooling over his lie, Buggy looked down, seeing the crystal. He decided to go for it, trying to grab it and look innocent doing so. He was able to grab it and said, "Sunset, sweety I have our gift again." He then looked up to the others and bowed, "Thank you so much for being so hospitable and kind to us. Please enjoy your lives." Buggy then gave the best smile he could muster while putting the crystal in his back pocket for safe keeping. He hoped Sunset had a plan to get them out without a fight. Buggy attempts to pick up the crystal and put it in his pocket! ...But the crystal is not having any of it. As Buggy was facing the Cosmos warriors and the crystal was in his back pocket, he is repelled in their direction! Does he hit anyone? Buggy lands to the left of the group! Do either Rocbouquet or Frieza notice the glow behind them this time? Sometimes a clean, or mostly clean conscience was a serious burden to Garland. It wasn't in keeping with his own code of conduct to render a strongarm robbery upon two strangers for a crystalline artifact of indeterminate power. While there was a rather fishy tale being told by the pony and pirate duo, Garland wasn't comfortable with attacking them in the absence of provocation. Just like that, it would have seemed the fat one was about to grab the gem and depart without further incident. Then the crystal itself appeared to reject Buggy's claim of ownership. Now was his chance! "Hmm.. that's very unusual behavior for a gift. It might be possessed of unusual or dangerous qualities, would you mind if I take a look at it?" Garland suggested while cooly circling a small respectful distance around Sunset's body to avoid touching her. For what he remembered, horses of all kinds would react differently to casual contact, and the fiery-haired equine certainly was not his horse. Best not to find out if she'd kick or bite for such transgressions. While keeping up an easygoing smile for Sunset, the winged man knelt down near the crystal to pick it up for a closer examaination. He had not bothered to wait for permission, but instead spoke with a brief, quiet severity. "If something is amiss with this gem, I don't want either of you to come to harm." Something did not add up to their story. But she could not yet determine if that was a good or a bad thing. If they were reinforcements brought from Cosmos, it would be logical not to disclose their identity to the first strangers they came across. Then again, the same went for her group. Should they just tell them about Cosmos and see if it gets any reaction out of them? ...And then she remembered. Hadn't Cosmos said something about the crystals right before they embarked on this crazy mission? Garland only remarked that it was unusual behavior for a gift. Did he get it? Did he remember? ...No, that's right. They met Garland for the first time when they fought those Rabites - he was not together when the party met with Cosmos. She had to warn him! But he was already making his way towards the pony and the crystal - she couldn't tell him now, and it would look suspicious if she approached him just to whisper something. Garland attempts to pick up the crystal! Would Sunset Shimmer be able to react first if she tried? Sunset Shimmer was too late to react in any way! Garland picks up the crystal successfully! ...and nothing happened. The crystal continues glowing softly as before. She nearly winced when their companion picked up the crystal, half expecting him to be launched straight into space just because the mysterious artifact found his touch cold or something, but nothing happened, which was to be expected considering what Cosmos had told them. Angela glanced at the bulky man on the ground next to them again. She moved just a couple steps away, tightening her grip on her staff. "Oh for Celestia's sake!" Sunset yelled, as the crystal apparently could not handle physical touch as well, once again releasing a blinding yellow light and throwing Buggy back by where the supposed Cosmo warriors stood. Sunset inwardly began to panic, pretending to look concerned for Buggy instead, especially considering that the winged man was walking straight to where the crystal had fallen back to the ground. It was clear to Sunset by his words that he was figuring out their ruse but could she stall him before he picked up the crystal? "Don't! I wouldn't want to see you get...hurt..." Sunset had failed at intercepting him in time and trailed off in disbelief as the man picked up the crystal only for nothing to happen. What in Tartarus was going on here!? The fires of anger burned in Sunset's eyes as she could no longer keep her sweet facade up. She was not like Rocbouquet. She did not need to pretend to be a sweet, hussy to everyone to get what she wanted. Yet...how had this gone wrong!? She had found it. She deserved it. It was hers. Glowering at the man, Sunset was done with their ruse. "That's mine!" Sunset barked, horn glowing, preparing to aim a blast at him. If the crystal wouldn't blast him, she would. Sunset Shimmer aim Magic Beam (Single-target: +200 roll bonus) at Garland. Sunset Shimmer uses Magic Beam on Garland! Sunset Shimmer's magic also produces some glow which could be spotted in the dark sky but it is weaker than the crystal's intensity. Perception check: 875+ to pass. Did not pass perception check. Note: each magic casting has a chance to be spotted by Rocbouquet and Frieza. As the light intensity is weaker than the crystal's, only a small chance is given from this distance. If at some point Rocbouquet and Frieza decide to head back, there will be a restriction as to how fast they can make it there, but that restriction will be lessened if they spot a glow, since they might pick up the pace! Battle Round 1 will end in 3 days (Aug 25 afternoon) or when all five characters have posted, whichever is sooner. Papyrus felt confused-yet again. The light of the crystal had manged to hurt the party of two but didn't hurt his allies? That had to be of some significance. It wasn't until he finally caught the glimpse of the tracking crystal given to him by cosmos what seemed like ages ago did he put two and two together. He pulled it out quickly and noticed it glimmered in response. His heart began to race-this was the crystal! The crystal he was supposed to find! But why were these two after it? Any additional questions of the like were thrown out the window when Garland was attacked. Still tense from all this turmoil quest had to offer him, Papyrus didn't hesitate to erect a bone shield around himself and his companions. The vortex of darkness ate away at the gnarled masses of limbs, producing a hole through which Rocbouquet managed a quick peek into a world of decay and desolation—a wasteland of snags and stumps, lava and sterile earth bearing an uncomfortable resemblance to Chaos' realm—before the blur swept back into place across the tear like a curtain falling back against a window pane in the absence of the wind. "Ohohohoho, I see your petty magic tricks aren't of much [use] either. But let's focus our attention to the matter at hand: Have you seen what I was able to see, or were you too caught up in whispering gibberish?" Rocbouquet whipped around to face the the galactic emperor, eyes fuming with rage and frustration. How dare he approach her during an incantation! “Shut up!” she hissed indignantly, stepping closer to him with the growing mass of darkness whirling ominously in her palms. Phantoms rose from her scalp hissing like steam, animating clumps of her light-blue hair with their restless wailing and writhing as she stared him down with eyes that could kill. What a stupid question. Of course she had seen what was hidden behind the illusion! The temptress wound her shoulders back as if she were aiming the sphere at Frieza, though she did not throw it. She simply continued to glower at him. As much as she wanted to blast the emperor in the face for his impudence, she reminded herself of the way he had retaliated against the sea captain's onslaught of knives. She also needed his help to locate the crystal. Less important, but still on her mind, was how Noel and Wagnas might regard her potentially reckless decision. She couldn't begin to imagine the amount of scolding she'd receive from Noel if he learned of her hostility toward a willing ally. And Wagnas would be disappointed that she didn't make more of an effort to use the galactic tyrant's strengths to her advantage before turning on him to secure the crystal for the Seven Heroes. Rocbouquet's brow quivered violently as she struggled to maintain her unblinking gaze, and her temper. Maybe she should just pretend Frieza was Kzinssie or Subier, or one of the other arrogant men calling themselves her allies, as stupid as that sounded. In a sense, her involuntary partnership with Frieza wasn't much different from the times she and Kzinssie were brought together because of Wagnas and Noel's crafty tendency to split their party off into smaller groups to avoid interacting with him. Kzinssie was, however, quite obnoxious compared to the galactic tyrant. She recalled him saying once as a last defense to provoke a possessive glare from her brother. What a tool. Rocbouquet snarled at her not-so-fond memory of her valiant companion. Nothing in any world, at any time in history, could be more annoying than Kzinssie's flirtatious advances toward her, she reminded herself, trying to calm her nerves as her eyes bore deeper into Frieza's soul. In fact, her temporary alliance with the emperor could be much, much worse. Instead of putting her down with his arrogant commentary, Frieza could be boasting to her about how he's much more deserving of her affection than Wagnas. That he's the better-looking man of the two. Or even introducing her to strangers by starting off with how scary of a woman she is in the absence of her brother to tease an angry blush from her cheeks as he eagerly awaited the inevitable Shut up! and smack across the face. Rocbouquet sighed. She put up with Kzinssie then, so why couldn't she do the same now—but instead with a tyrannical emperor, the lesser of two evils—for Wagnas and Noel's sake? After giving the situation another moment's thought, the temptress slowly lowered her arms. The energy in her palms fizzled off into the atmosphere and the screeching ends of her hair fell motionless against her back. “...You're lucky we're still allies,” she muttered, adverting her gaze to the side of the pathway. She began to walk away from the illusion at a brisk pace. “Come now, there's no point in pursuing this any further.” She spoke in a rushed manner as if she were hiding something. Apparently, the pony was not pleased by Garland's successful attempt to pick up the crystal, and she blasted him away with a light beam of some sort! "H-- hey! What do you think you're doing?" she called out. She brought her staff to her front in a defensive stance, but chose not to act yet, allowing Garland to decide how to handle the escalating situation as he was on the receiving end of the blast. Papyrus summoned his choice of shield which was smart - unfortunately Angela had access to offensive magic only. "Who are you, really?" she questioned emphatically. Angela and Papyrus are protected by a shield for a total of 500 roll points! Garland is out of range. Rocbouquet starts heading back towards Snowdin! If she and Frieza continue towards that direction uninterrupted, they will make it to their destination by the beginning of Battle Round 4! If they happen to notice glow from magical attacks, the required time interval will be halved if the two decide then to hurry up. Perception check has dropped to 750 now that they are facing in the right direction, and will drop by 125 for every battle round that brings them closer. Battle Round mechanics: characters with strikethrough are those who have made their move. Characters with an asterisk* are those who have made a post but did not make a move. As Angela did not make a move, she is still able to attack for Battle Round 1 if she so chooses - however, now that she has posted, Battle Round 1 will end automatically if Garland and Buggy post, and any attack of hers will then count towards Battle Round 2! After being flow sideways just for picking up the crystal, Buggy watched as the others reacted. Then out of nowhere, one of the people that confronted him and Sunset easily picked up the crystal with no issues whatsoever. Buggy let out a laugh, "I guess since you won't be here that long we could tell you, but it wouldn't matter now would it, lady?" He then noticed a shield...of bones?? 'I can break that I think, gotta help Sunset' He quickly thought as he deployed his knives and Attempted to break the bone shield with his Bara Bara Japanese Cracker attack. Buggy uses Bara Bara Japanese Cracker against either Angela or Papyrus (aiming for the shield)! Angela and Papyrus barely sidestep out of the way of the attack, the knives flying past through. Oh, he had done it. If they were done playing nice, so was she. She closed her eyes and aimed her staff forward, directing her fireball attack towards him. Angela uses Fireball on Buggy! The fire attack created a soft orange hue in the dark sky over Snowdin, but Rocbouquet and Frieza are still too far to easily notice. They have a small chance, however - do they make it? Perception check: 750+ to pass. Battle Round 1 will end on August 25, 23:59 Pacific Time. Something didn't seem right from the moment that Garland and his allies came into contact with Sunset and Buggy. If Garland was to be honest with himself, however, the very environments that the Cosmos warriors were forced to navigate did not exactly qualify as normal either. His own introduction was to a deserted dungeon cell, locked but otherwise completely absent of guards. A very curious observation, since the mage did not immediately recall signs of disuse or abandonment within the castle lording over said dungeon. The trend of absentee sentient beings appeared to continue into a remote corner of a distant planet, intimately known to Samus. While the armored warrior had since been lost to them along with the valiant spellsword Lightning, he resolved to remember their significant contributions towards their quest for the crystals. Now that they were in a quaint village appearing to be home to Papyrus, Garland was mildly surprised to encounter another human and a pony with the gift of speech. Nonetheless, Garland held onto his suspicions and made his own attempt to reach the crystal. He had no assurances that Cosmos had called him to retrieve the crystals, save for the story given by his companions. Now that he was holding the precious jewel without so much as a violent reaction or irritable flash, the horse's sweet voice was supplanted by something much more sour. With his back turned to Sunset, Garland failed to notice the glowing of her single horn. However, something peculiar tipped him off to an incoming attack; magical energy was rapidly being gathered and concentrated into a single point located in the same direction as the pony/unicorn's shout. Uh oh. Garland whirled around to face the beam, but it was far too quick (and potent) to defend against in an adequate fashion. The blast sent him tumbling, but the winged man was not yet ruled out of the battle. He retreated towards Angela and Papyrus, drawing upon his own form of magic to help even the odds. The air around Garland distorted briefly, then returned to normal. Now what the heck was going on? Did that bright-nosed buffoon decide to also attack his companions? Angela shouted angrily towards Buggy, then unleashed the ur-example of a magician's utter contempt for another being - a searing ball of fire! Unfortunately, Angela's heated retort was a bit wide of its equally wide target. Garland clenched a fist and waved it in Buggy's direction, shouting defiantly while protectively posturing himself just in front of Angela and Papyrus. One of his hands reached for the scabbard at his left hip; in this state of mind, he feared no man or beast! Losing his remaining companions or merely allowing them to come to harm (or in Angela's case, losing even the smallest fraction of her beauty) was a greater fear than any personal adversity. After all, it wasn't that long ago that he burned out his eyes for the sake of acquiring a magic rock. "You get one chance to leave, clown! And be sure to take your filly with you." Garland is casting Haste on himself. Garland uses Haste on himself! Boost magic! Garland is not defending against Haste. Critical hit bonus! Garland can attack twice in succession for 3 rounds instead of 2! Battle Round 1 has ended. Battle Round 1 is over. Rocbouquet wasn't too happy to see that Frieza had not only followed her, but was making fun of her efforts to dispel the illusion. "Shut up!" The woman hissed at him, before turning around and making her way towards the Emperor, the dark glowing orb of energy she had summoned with her incantation still in her hands. She stopped only a few steps in front of him, staring him dead in the eyes and winding her shoulder back as if she was about to throw her dark magic at him. But Frieza wasn't done here yet. There had to be a reason the Illusion was where it was, and he would find it. "What a shame you are giving up so quickly." He started saying, his back still turned towards Rocbouquet. "And for a moment I really thought you'd be able to get rid of this obnoxious illusion." It was obvious that he was trying to play Rocbouquet, but the Galactic Overlord was sure that it would work on her. “Give up? I don't need a second glance to figure out that the illusion leads into the same decayed forest where we first met!” Rocbouquet replied sharply, looking at Frieza from the corner of her eyes. She continued away from him, stopping only once she reached a conifer with an accessible limb. She hopped onto the low-dipping limb using her spirits to stabilize herself as her heels made contact with the bark. As she turned around to face Frieza, she shot a single blade of wind across the ground to erase her footprints from the trail. Without another word, she turned away from him and disappeared into the crown of the tree. Watching the man get blown back felt satisfying, unfortunately it did not make him do as Sunset had hoped, which was drop the crystal. He ran back towards his companions as she heard Buggy shout an attack at then. She grinned, glad he had decided to join in the fray as well. He was probably a lot more competent now, without that fool Queen trying to control him every second. Sunset could hear floozy 2.0 shouting at Buggy, and oh my god she was right. What is with these women!? Who cares about looks! It's power that was important. In a flash of green, Sunset teleported the short distance to Buggy's side, taking note of the odd looking shield in front of the trio. It wouldn't be fair to let him have all the fun with their new guests. She smirked at the winged man's comment. "Oh, how nice. A true gentleman! He's giving us a chance, Buggy!" she said, donning her sweet voice again before dropping it immediately, "A chance to take back what I deserve." Sunset's horn glowed light green once again. As much as she itched to blast the three, having a shield would help even the odds. Buggy could then attack with his knives, or whatever else he had up his sleeve, again. Battle Round 2 has started! Sunset Shimmer uses Magic Barrier! Sunset Shimmer and Buggy are protected by a shield for a total of 500 roll points! Battle Round 2 will end on August 30, EOD Pacific Time. "What the-- how dare you even attempt to scar this pretty face??" came out first from the woman obsessed with her looks then... a FIREBALL??!! Buggy closed his eyes hoping for his dumb luck to kick in and what do you know...it did!! He was unsinged. Then more words were hurled his way, "You get one chance to leave, clown! And be sure to take your filly with you." His eyes open now staring a hole into the winged, crystal holder telling him, "First off idiot...It's Captian Buggy the PIRATE... not a clown! Second off, this Filly here is destined to rule the world someday and needs that crystal to do it, so if you value your wings just hand it over!" Buggy then noticed the shield that Sunset cast and said, "Sunset brace yourself, I didn't think I would need these but you all have forced my hand... " He reached into his pocket taking a small ball-shaped thing out showing them, "Let's see how you like my Muggy Balls...if you survive it that is"
Buggy then threw a Muggy Ball in the area close to Garland and the bone shield group, hoping it would do its job. Angela and Papyrus move out of the way in time! The shield is not affected. Garland nearly dodges but is narrowly caught in the blast.